Native Chicagoan, Vincent Chancey moved to New York after a completion of a bachelor of music degree from the Southern Illinois University School of Music. His classical private study was with Dale Clevenger of the Chicago Symphony. Mr. Chancey has performed with the Brooklyn Philharmonic, the Pan American Symphony, the Harlem Symphony, the Zephyr Woodwind Quintet, and the Netherlands Opera, in Amsterdam Holland. He received a N.E.A. 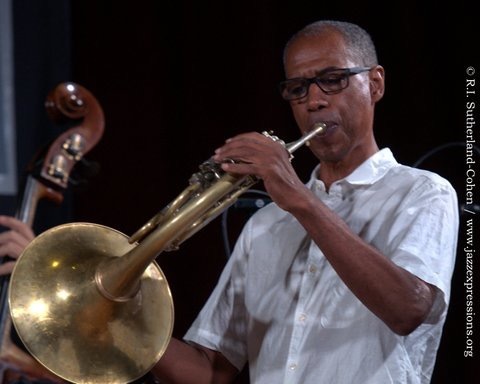 grant to study Jazz Horn with Julius Watkins. After many years in New York he has carved out an amazing career as both a sideman and a leader. Some of his accomplishments include collaborations with Wayne Shorter, Herbie Hancock, Lionel Hampton, Tom Harrell, Cassandra Wilson, Shirley Horn, Sun Ra, Lester Bowie, David Murray, and Carla Bley in jazz; Aretha Franklin, Patty LaBelle, Elvis Costello, Brandy, Ashford and Simpson, and Maxwell in the popular idiom. Chancey has toured extensively in North and South America, Europe, Japan, Africa, and the Middle East. He has worked with a large variety of artist and has recorded on more than 150 albums and CD’s. Film scores are also a part of his many accomplishments, as a composer and a player. He has taken his own groups to the Verona Festival in Italy, and the Asilah Festival in Morocco, and the Deer Isle Jazz Festival in Maine. Chancey has two CD’s released under his name. “Next Mode” is his latest on DIW records. His first CD is titled “Welcome Mr. Chancey” on In and Out records.